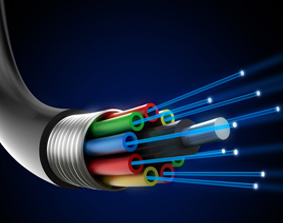 Fiber Optic Solutions provides a far greater bandwidth than copper and is typically used for backbone connection between localized networking equipment and is increasingly becoming the preferred choice for high quality and reliable analog and digital communications. We carry out the design, installation, testing & maintenance of Fiber Optic systems including Fusion Splicing & Termination of multimode & singlemode fiber cables. Singlemode 9/125 (OS1) Gigabit Ethernet and 10 Gig Ethernet for up to 2km. We provide Breakout Cable, Distribution Cable, Loose-Tube Cable, and the Armored Loose-Tube Cable as per the site requirement. 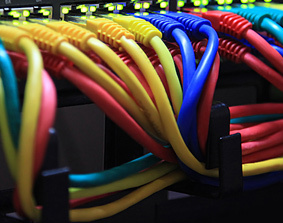 A well-planned structured cabling system facilitates the continuous flow of information, enables the sharing of resources, promotes smooth operations, accommodates ever-changing technology, offers plenty of room for growth, and evolves with your organization, plus, it will be around far longer than your current PC, server, and network switches. ALAN Technology offers the complete range of structured cabling solutions, designed to meet technical requirements and budgetary constraints of clients. We engage with the client, right from initial consultancy and design to installation and maintenance of complex data and voice networks. Category 7/ Class F cabling. CAT 7 cable consists of four individually shielded pairs inside an overall shield. It’s designed to meet or exceed the requirements of 10-Gigabit Ethernet. The standard specifies a frequency of 1–600 MHz over 100 meters of fully shielded twisted-pair cabling. Augmented Category 6 (CAT6a/Class EA), is designed to meet or exceed the requirements of 10-Gigabit Ethernet over copper at 100 meters. It extends the frequency range of CAT6 from 250 MHz to 500 MHz. Category 6 (CAT6/Class E) cable easily handles Gigabit Ethernet (1000BASE-T) applications. It’s a 100-ohm cable with a frequency of 250 MHz Our projects include commercial buildings, campuses and data centres, as well as a wide variety of industries such as healthcare, banking & financial institutions, retail outlets, government contractors, corporate offices, universities, federal, state and local government offices. Whether small, medium or a large business, information and communication is the life blood of an organization. 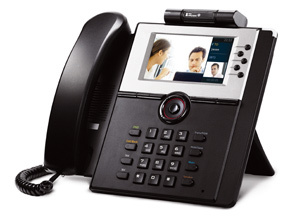 ALAN Technology provides advanced office technology that integrates voice and data solutions for businesses of any size. Short for Private Automated Branch Exchange, this telephone network is commonly used by call centers and other organizations. PABX allows a single access number to offer multiple lines to outside callers while providing a range of external lines to internal caller staff. A business telephone system is any of a range of a multiline telephone systems typically used in business environments, encompassing systems ranging from small key systems to large scale private branch. A business telephone system differs from simply using a telephone with multiple lines in that the lines used are accessible from multiple telephones or “stations in the system, and that such a system often provides additional features related to call handling. Business telephone systems are often broadly classified into "key systems", "hybrid systems", and "private branch exchanges". Advanced features such as automated call distribution, auto attendant, and sophisticated voice messaging systems are available in compact "office-in-a-box" solutions that seamlessly support your voice and PCs providing a total voice and data solution. Additional features include your gateway to the Internet and firewall protection as well as support for remote sites and employees. Servers are the brains of most corporations. The rooms and racks that house these servers are a critical part of a company's cabling infrastructure. Since servers, racks and the required cabling usually account for a large part of an IT manager's budget; they must be assured that this environment is built correctly. ALAN Technology offers turnkey data centre services inclusive of design consulting,programme management, build, populate and transfer of knowledge in Data Centre Operations. Today, the competitiveness of a business depends on its agility and adaptability. This requires the ICT ecosystems within the enterprise to be more agile and adaptive in order to address cost competitiveness, growth, technical diversity, capacity enhancement, compliance, information security and manageability needs. Data Centres today have to be built with the aforesaid characteristics for the enterprise to maintain its business competitiveness. Video surveillance systems are your first line of defense for preventing break-ins, theft, property crimes, vandalism and other unwanted behavior at your home or business . Our selection of turn-key video security systems includes everything needed to set up a video security camera system to monitor your premises. Our indoor and outdoor video security systems are available with 4, 8 or 16 cameras, and are ideal for a range of applications, from home security to commercial surveillance. Our video surveillance systems connect to your network, enabling you to view your business or home from a web browser or our free mobile device app when you are away . Our CCTV systems are equipped with the latest features and capabilities, including high-resolution, weatherproof cameras, remote viewing via the internet or smart phone app, motion detection recording and email notification. Versatile, Vandal-proof, Weatherproof, day/night and various combinations Security camera systems with day/night features . It is ideally suited for use in day-to-day surveillance applications. It saves time and money with easy installation and reliable performance. Its off-the-shelf feature set is developed for high-picture quality in standard applications. 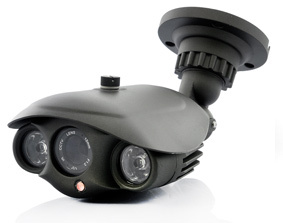 It produce a superior night vision picture with different amount of integrated IR LEDs for illumination. It often referred to as dome cameras, are cameras that can be moved left to right, up and down and zoom in and out via a computer, DVR, or PTZ joystick. It can install as indoor or outdoor surveillance with a proper housing. Our selection and systemization of cameras and allied products enable you to closely monitor locations that are critical to you. It helps you store and view video data at your convenience, thereby ensuring that you are in tune with what’s happening around you at all times. 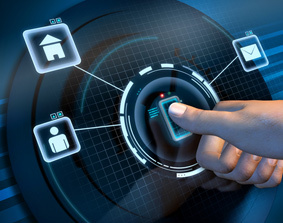 ALAN Technology delivers solutions which controls access to restricted areas by using latest innovative technologies such as smart cards, fingerprints, Hand geometry, face recognition and many more. Our security experts can understand and build a perfect solution for your requirements. The user-friendly designs make it simple to install, operate and maintain. ALAN Technology provides affordable Automated Time Attendance Solutions which allows you to record & track the Attendance of the employees. 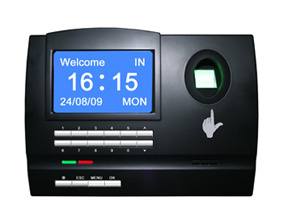 Our Time and Attendance solutions provide biometric fingerprint verification sensor and technologies and the devices are used to install on the door entrance with built-in time and attendance management software to better manage multi-access points, attendance control and duty roster arrangement. We have in-house software development team, which can support clients with installation, integration, customization and new feature development. 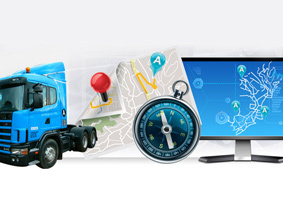 ALAN Technology provides Vehicle Tracking System [devices, equipment & software] which serves as complete tracking solution offering a host of exciting features. Log download option for accident analysis, speeding offences etc. [subject to an additional charge, log capacity up to 10,000 events]. Peace of mind knowing your assets are secure, our Skyline system is used consistently to recover stolen items successfully. Using the most modern and professional integrated AV solutions we identify client requirements and give them tailor made solutions to suit their requirements and budgets. Using the most modern and professional integrated AV solutions we identify client requirements and give them tailor made solutions to suit their requirements and budgets. Our AV solutions provide Design, supply, installation, testing and commissioning, support and maintenance of audio visual systems. 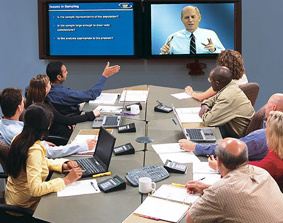 ALAN Technology AV Solutions is having strong environment and experience in designing and implementing the AV Solutions for Network operating centers (NOC), Command Centers, Conference rooms, Video Conference rooms, Boardrooms, Training Rooms, Meeting Rooms, Multipurpose Halls, Retail outlets, Education Institutes etc. 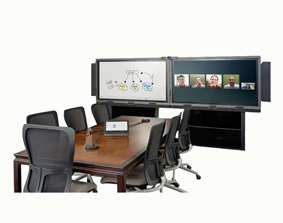 Our formidable expertise in connectivity solutions enable us to achieve the highest standard of quality installation when it comes to creating an AV environment which finally help you collaborate with your counterparts across the world swiftly and efficiently by creating the perfect telepresence experience. ALAN Technology can provide you with state-of-the-art video conferencing (or video teleconference (VTC)) and telepresence solutions to help your organization be efficient, communicate effectively, and connect with people and locations across UAE and around the world. Whether you are in a corporate, government, orr education environment, our capabilities allow you to collaborate and interact with colleagues at an instant, while also saving time, money and travel costs. In todays global marketplace, ALAN technology provides efficient and effective ways to communicate. Whether it is a simple one camera system or a fully integrated telepresence system, we can help you easily connect to and from corporate boardrooms, training facilities and operations centers around the world. In control rooms around the world, critical decisions are made based on information presented on video wall displays. 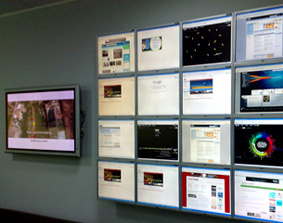 Video walls are used in many situations that are mission-critical. Some examples of these include: security, broadcast, traffic and transportation, utilities, emergency operations centers, corporate and general command and control room. For these situations, the display system must deliver, day in, day out, around the clock with excellent image quality, 24x7 reliability, broad source compatibility and unmatched ease of operation and maintenance. Video walls can make a critical difference in environments ranging from high security government installations to large municipal water departments, to corporate boardrooms and lobbies. ALAN Technology LLC, being ALAN an acronym of Advanced Local Area Network, is an established IT Solution Provider in UAE since 1990. Within the last 25 years, we have over 3000 customers from various market segments such as Government, Semi-Government, Large Corporate and Small & Medium Enterprises. 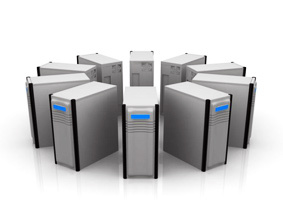 Our Solutions are in the field of IT Infrastructure, Systems and Services. Look for “continuous improvement” in every step we make. Maintain and further enhance our market share to earn our customers’ loyalty and awareness of our capabilities by delivering on time quality products & services to improve our customers’ business.